Fewer than one in 10 people in the UK have faith in local and national governments to do the right thing by them, according to a stark new poll. Research for a conservative think tank found that only 9pc of people place any significant faith in any layer of government to “do the right thing” if voters “had reason to contact them with an issue of any kind”. Some 40pc have no trust at all in the House of Commons. In a foreword to the Centre for Policy Studies report, David Lidington, Theresa May’s de facto deputy, said politicians must take action to address the disaffection “or risk lasting damage” to mainstream politics. 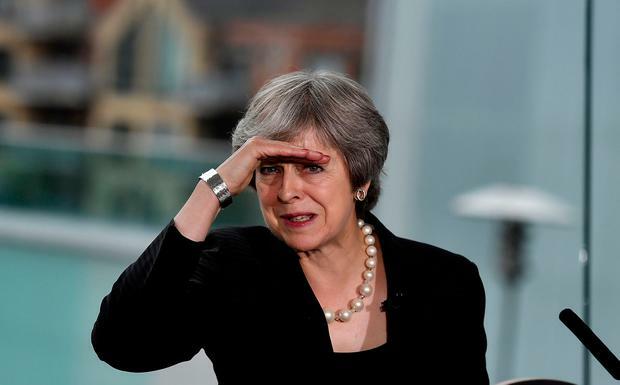 The polling comes as Mrs May faces claims that her proposals for a future relationship with the EU after Brexit amount to a breach of the trust of Leave voters. The survey also found scant knowledge of the various layers of government among many voters. Almost half (49pc) of Londoners were unaware that the city had an elected mayor, currently Sadiq Khan, or that he had “powers that affect their lives”, according to the Deltapoll survey of 2,000 people. More than half of people in Wales (54pc) and 42pc of Scots were unaware that the devolved governments in their two countries made laws that applied to them. Fifteen percent of the public did not realise that the UK is still a member of the EU. None of the people polled could correctly identify all the levels of government in the place where they lived. He makes a series of recommendations as a “starting point” to bring about change, including giving the public a right to know which elected official is responsible for a decision and why it was made. He also proposes putting local communities “in control of basic developments and letting them own any new infrastructure”. In a foreword to the report, Who Governs Britain?, due to be released today, Mr Lidington said: “The stark polling results [this paper] sets out show that too many people simply don’t know where power sits or have faith in the people at all tiers of government who discharge it. Meanwhile, former Brexit secretary David Davis has urged Mrs May to “reset” her negotiating strategy and “start again”. “When we get to the autumn, if we don’t have any degree of agreement, we’re going to have to start again,” he said. Mr Davis called for fresh proposals based on an amalgamation of the “best bits” of deals that the EU has already struck with other countries.